Before Marvel had released there Dracula comic in 1972 this issue of Marvel Spotlight introduced another horror character just a couple of months before. It was be Jack Russel, the Werewolf By Night! Introduced in this issue, he would begin appearing in his own monthly comic just a few months later in September. 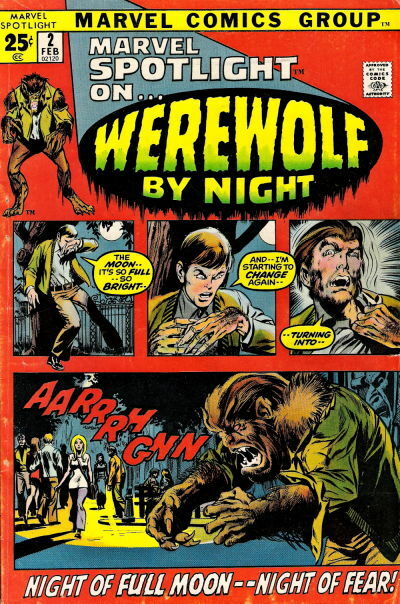 Werewolf By night ran 43 issues and he would even come across Iron Man in his adventures!